Join a community with your business - and start promoting together. Go On - Create something BIG with the power of small. Are you a local business, have a story to tell and want to join forces with a community already on Map Your City, without creating your own? Want to add your business, festivals, events or travel spots, link to your website, add ticketing and localize your messaging? As a member of a community you can amplify your message and create something big with the power of small. 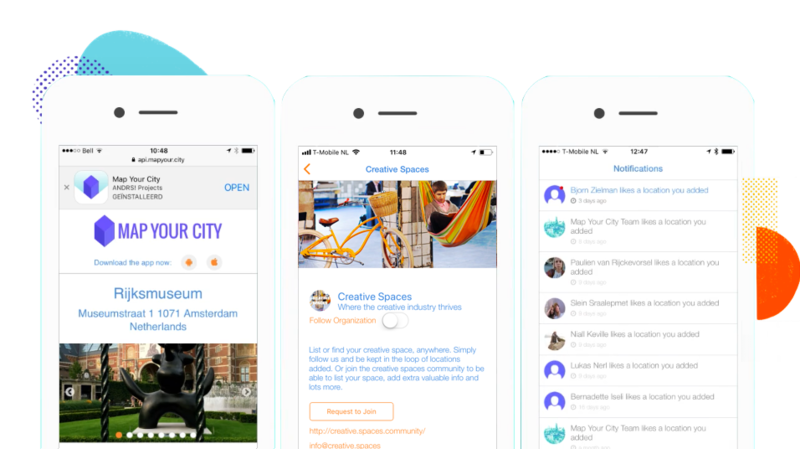 Simply download the Map Your City App – check open communities to join. Request an invite. Open communities are free to join. Simple enough – right? Did not find a community that fits? Or want to create your own community and get access to even more valuable features?